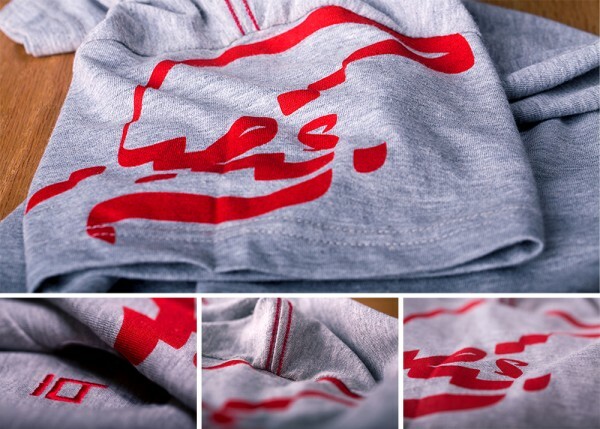 We are Stabraq, an all-Egyptian clothes brand. Our mission is to express the adaptive nature of Islam through multi-featured clothing and effective and inspiring movements. We're also a group of bearded aliens, and we come in peace. Our latest product is the SajdaFlap™ Polo; we've made it with you in mind. We run, pray and move quickly, so we need something versatile, comfortable and most importantly, something to just put on and go. We've come up with an idea called SajdaFlap™. We love graffiti, because it gives us a voice without shouting. bring. We've made a new trend of basic t-shirts. Who says a basic t-shirt has to be low quality? Our basics are 100% premium cotton -- a wear-and-go high quality product that looks awesome as a simple t-shirt, and won't interfere if you wear it as an undershirt. About a month ago, we we're on the verge of receiving our newly produced Polos and Basics. Yes. We'd produced them already and they were being packed and ready to ship to our HQ. It was then that we got the bad news; the factory that had produced our t-shirts had burned down that day, along with all our production. It was a hard hit, and it cost us the whole season, but it wasn't hard enough to break us. Nothing is, thank God. It was then and there we decided to stand up and call out to you guys. We're here to write a success story, so grab a pencil and help us make it happen. We need your help in order to produce (or re-produce) our new products. The initial fund to make the new Polo is $7,000. 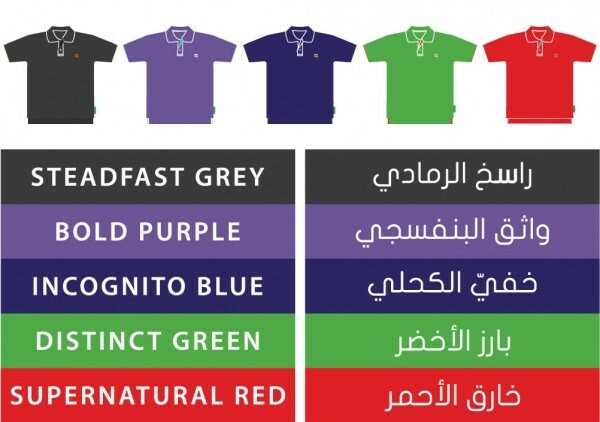 Our goal is not only to make the Polos; we still have more products that we've made but haven't seen the light. The next target is $15,000; this money will kickstart our new Basic Graffiti t-shirts. We're not stopping there. We have some epic new t-shirt designs that we know you'll love. Our third goal in order to make this new collection is $27,000. With your help, we'll get there inshAllah. Beyond that, we're planning on bringing in some heavy machinery in order to make our products in-house, as well as, add customization to our services, because we didn't make Stabraq so everyone can wear the same thing. Our fourth goal to aqcuire a quality t-shirt printer, and one-head embroidery machine, is $38,000. And for the cherry on top, if we hit the magical $48,000, we'll rent a booth in a major mall in Egypt. We've always wanted to take this step, and with your backing, we have a good chance of going for it, inshAllah. We have many new products lined up and some ridiculously awesome rewards. 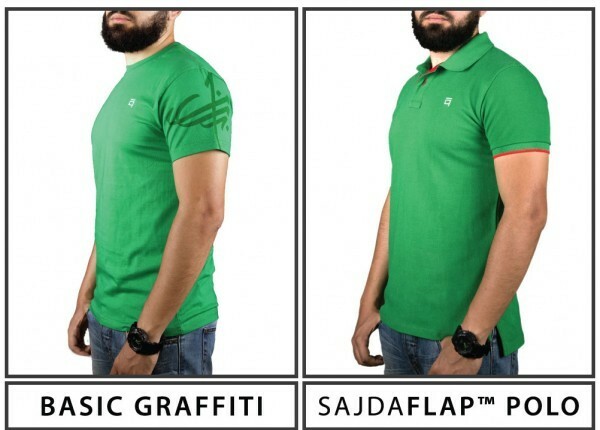 Get huge discounts on our new SajdaFlap™ Polos. Get cool Basic Graffiti packs. Get a one of a kind, custom made t-shirt. Even get a VIP pack and get a t-shirt from every collection we ever make, like, forever. Did we mention that each backer will get their name written on our wall? The wall is a space in our HQ that we've reserved for our loyal friends. Be part of our story and get your name written up there. You can even visit us and write it yourself. If you're a retailer, we have some special rewards for you. Get big discounts on bulk orders. You can get up to 1000 Stabraq® t-shirts for great prices. Last but not least, if you're looking to open your own fashion startup, we have 3 spaces open. For what, you ask? Get a full mentorship program with us; learn how and where to make your first product. Learn how to design and the basics of how to make a brand. All that and much more. Remember, we didn't make Stabraq just to sell clothes. Our goal was to establish a successful Muslim company to inspire the people around us to do what they love. Spread the word and tell your friends and family about our cause, maybe you can inspire someone to contribute, or better yet, start a project of his own. Got an idea for a fashion startup? Want to make your own clothes brand? We'll help you with the branding process, show you how to deal with factories, and guide you to making your first product come to life. You'll spend 6 weeks with us and we'll teach you all we know. We're only housing 3 startups, so better hurry up. 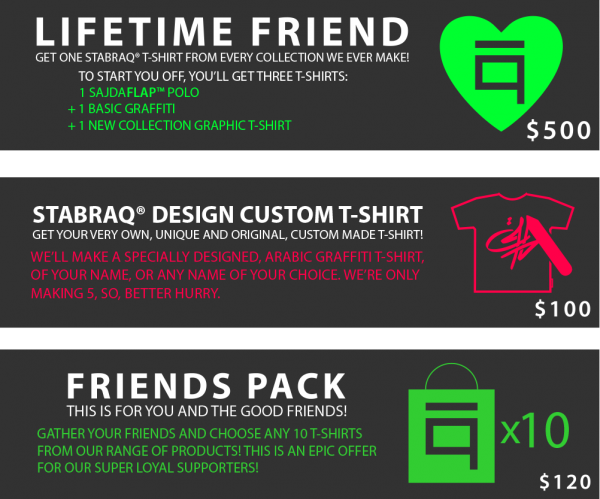 Get 100 Stabraq® t-shirts for your store for an awesome price. 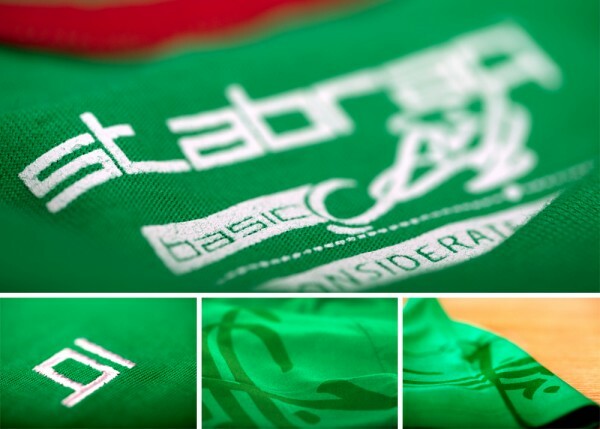 Get a bulk of 1,000 Stabraq® t-shirts for your store for a awesome price.